Editor’s Note: A couple of weeks back, a reporter at the Salt Lake Tribune contacted us on the O&H Facebook page to get in touch with former Mormons (LDS) who had converted to Orthodoxy. One of those who responded to this inquiry was Cameron Davis. He was one of several interviewed for this piece (which is well worth reading). Like all newspaper interviews, most of what he said in the interview is not included in the final product. Cameron has generously provided O&H with the full text of his interview answers. The interviewer is Bob Mims, the reporter who wrote the piece. Tell me about you. Age, what you do for a living? Education? Married? Kids? I’m 30 years old and I am a stay-at-home dad during the day and a warehouse manager in the evening. I graduated from Utah State University with degrees in Philosophy and Political Science. I then went on to complete a Master’s in History from the same institution. I was accepted to study historical theology at Princeton Theological Seminary but opted to forego the opportunity. I am married and have two young boys. Were you raised and baptised in the LDS faith? I was born and raised LDS in Idaho, baptized at 8 years old as is customary. Both sides of my family are multi-generational Mormon and both of my parents remain active in the LDS faith, and the LDS faith was very much a part of my upbringing and my identity. I actually learned many of the messier aspects of LDS history as a child, so unlike a lot of disaffiliated Mormons who today have a crisis of faith upon learning these things, it wasn’t Joseph Smith’s polygamy, the Adam-God theory, or the Mountain Meadows Massacre that led me to question. I simply never acquired the conviction that the LDS faith or church is what it claims to be.However, I continued to identify as Mormon into my early undergraduate years. During my second year at Utah State I began taking courses in both philosophy and religious studies and found that early Christianity didn’t look like modern Mormonism and Mormon beliefs, in many ways, seemed more to reflect post-Enlightenment and particular American ideologies than ancient Christian and Jewish worldviews. In other words, what really made me lose faith in the LDS movement was that it seemed very much a product of and response to its time and environment, it didn’t sound like what I was finding in the earliest Christian records, and its temple theology didn’t match up well with what I was learning about Jewish views of the temple. This all motivated me to see what other modern faith groups believe, so I began reading about everything from Shintoism to Jehovah’s Witnesses. Ultimately, perhaps due to my encounter with the robust philosophical tradition of early and medieval Christianity, I both found the naturalistic worldview and atheism unpersuasive and found myself attracted to Roman Catholicism. After spending a year or so in RCIA (an educational course for those preparing for baptism in the Catholic Church) I decided to be baptized Catholic. However, during one of the class sessions the instructor said “I can’t understand how any Christian who knows their history could be anything besides Catholic, or maybe Orthodox.” At the time I was ignorant of the Orthodox Christian tradition so I asked the instructor if, by Orthodox, she was referring to Orthodox Jews. Through her answer I learned for the first time about the Orthodox Christian tradition, which remains relatively unknown in the US, despite being the second-largest Christian body in the world. Eventually, after a couple more years of study, I found the Orthodox Christian spiritual tradition more beautiful and compelling in light of my reading of history and theology. I decided to be baptized in 2014. All of the Eastern Orthodox churches share the same faith and commune with one another so, although I attend a Greek Orthodox parish due to its close proximity, I feel at home in the other jurisdictional churches as well. What is it about Orthodoxy that seems to fulfill you spiritually, where the LDS Church did not? Honestly, my conversion to Orthodoxy wasn’t so much about perceived spiritual fulfillment as it was about convictions about what is and isn’t true, and what perspective offers a more persuasive account of the human story and experience. As one might expect, however, spiritual truths often have practical, tangible manifestations, so I suppose I might say that I find Orthodox Christianity more fulfilling because the way of life it prescribes better accords with what I hold to be true, good, and beautiful. All of my family members who know about my conversion have been more-or-less tolerant of my decision, and those closest to me tend to be more understanding because I have been able to better explain to them why I made the decision. One has even considered following in my footsteps. My friends have been even more accepting of my decision, probably due more to our modern culture of tolerance and plurality than to the actual merits of my decision, but one of my best friends actually converted about a year or so following my own. I don’t know if any consider me an apostate. Nobody has condemned me as such. How were you accepted by Orthodox folk, especially those who were born into the faith rather than converted into it? The Orthodox Christians I have encountered have generally been friendly and welcoming, regardless of whether they are cradle (born into the faith) or convert. When I first began attending predominantly cradle Orthodox parishes there were some who found it a little odd that someone who isn’t Greek, Russian, and so on would choose to be Orthodox, but conversions are now frequent enough that such occurrences are seen as commonplace. Additionally, I’ve now been around long enough that I’m welcomed like family. A good portion of Orthodox Christians in the U.S., and Utah, are converts . . . from Mormonism, mainline Protestant denominations, Catholics, Episcopalians, evangelicals, etc. How do those varying backgrounds play out in this new, common theological and liturgical setting? One usually doesn’t see manifestations of this variety in liturgical worship itself, since these rituals and practices stem from continuing ancient traditions, though there are sometimes enthusiastic converts who bring new life to parishes that may have fallen into mundane repetition. Some areas where the diversity is more visible is in conversations regarding evangelism and disputed aspects of the faith. For example, those who come from proselytizing traditions like Mormonism and certain Evangelical groups may want to bring some of the missionary strategies from their old traditions into Orthodox Christianity. 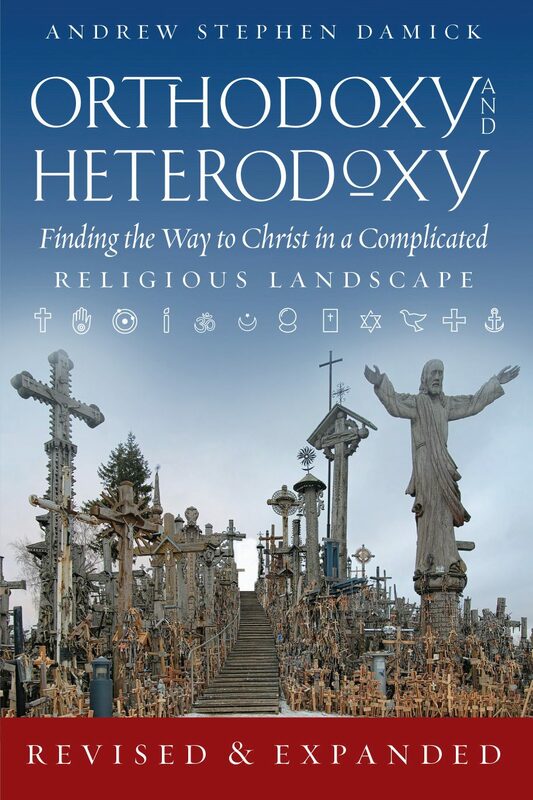 With an ever growing pool of converts, there is also always the risk that people will try to conform Orthodox Christianity to their old ways of thinking rather than the other way around. There are even terms like “Byzantine Baptist” and “Reformed Orthodox” that refer to individuals who are perceived as maintaining too much from their former traditions, or who attempt to interpret Orthodox theology through a Protestant, Catholic or perhaps Mormon lens and vocabulary. For the most part, though, the diversity of converts has been a positive thing for Orthodox parishes in America, which in many areas had become enclaves of cultural Christianity. Traditional Christian doctrines were certainly an issue at first, but they became less of an obstacle once I found out that much of what Mormons tell one another about traditional Christian beliefs are misrepresentations. Furthermore, I began to find the perspectives of classical Christianity more persuasive than Mormonism’s unique views of God and cosmology. The deeper one goes into Orthodox theology, the more one sees that everything from the veneration of saints and the hierarchy are not only important, but essential elements for the continuing and proper function of the Church. The biggest challenges to becoming and remaining Orthodox are actually logistical. The closest parish is 60 miles away, so it takes an hour just to get to church. There have also been several times when severe winter weather has prevented travel through the canyon pass. Fortunately, efforts are currently being made to establish regular Orthodox services locally in Logan, and there are live liturgical services online for the days one is unable to travel. Are you as zealous about your choice of Orthodoxy today as you were following your conversion, baptism, Chrismation? I don’t know that I have ever been zealous, to be honest. You might be better off asking my friends this question. I am by nature skeptical, second-guessing, and slow to make decisions, so my conversion to Orthodoxy was a pretty sober development. As a historian and enthusiast of philosophy I tend to see Christianity a bit differently than others; not necessarily in a superior way, but in a manner that makes it difficult to be zealous or triumphalistic. That said, I would definitely say that my continued participation in the Orthodox Christian life and the fruits of this participation have reinforced my conviction that I am in the right place. 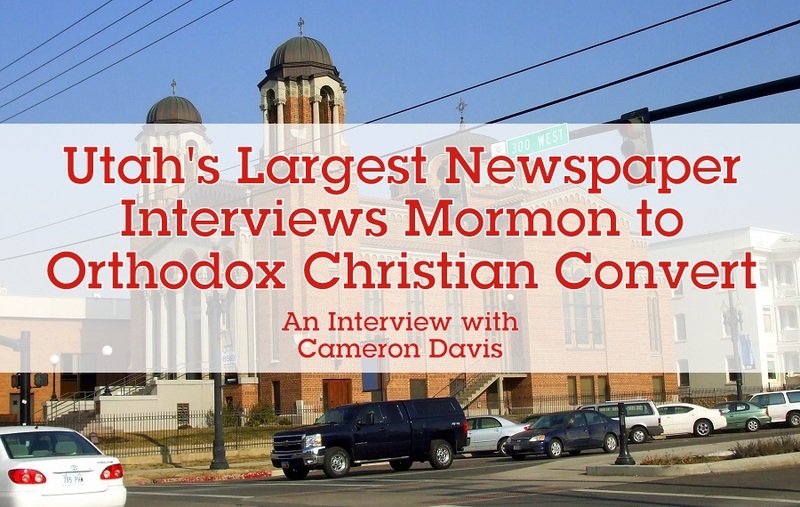 Cameron Davis is an Orthodox Christian and historian by training who lives in Northern Utah with his wife and two sons. Philosophy According to Christ: Were the Fathers ‘Corrupted’ by Greek Philosophy? I find conversion stories enlightening. I enjoy the similarities and learn from the differences between my conversion and others. What a beautiful story! I am so happy for you! Glad to see your full responses made available. As indicated, with the limited length of story allowed, and comments of other converts and clergy I interviewed, I was unable to include much more than a couple quotes from each. But once again, thanks for sharing your story. Unexpectedly, for me, this assignment also saw the beginning of my own exploration of Orthodoxy. Thanks for the kind words! Feel free to contact me if you ever feel the desire! I am interested to know if he ever read the Book of Mormon, and if so what he thought of it. I too converted from the LDS religion to Orthodoxy in 2015, losing my children in the process. It was a long and tortuous road, but I’m glad I took it. May God be glorified in all things.